Transit in Toronto is in crisis. While the population continues to grow, there are no planned expansions to the transit infrastructure. And yet, transit is essential for people to access the city’s social and cultural life. It is particularly troubling that many working class communities currently suffer from inadequate transit service. Moreover, if current plans for privatizing transit are realized this crisis will only become more acute. And yet, various plans for transit reform promising better service have also been floated. What should working class communities make of these proposals? 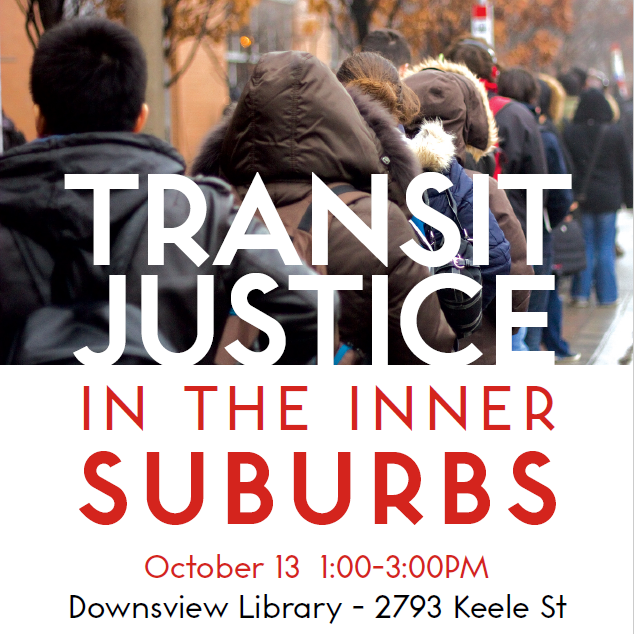 What are the key issues related to transit in the city, and the possibilities of mobilizing for change?